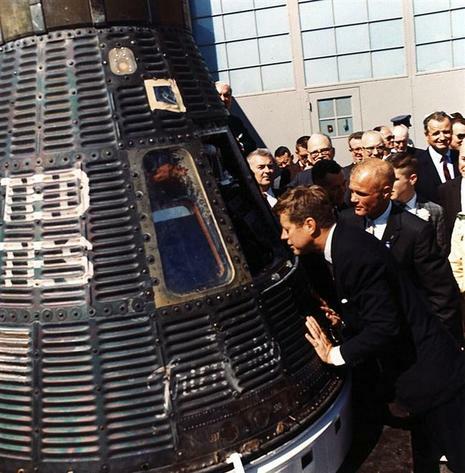 President Kennedy was also eager for the United States to lead the way in exploring space. The Soviet Union was ahead of the United States in its space program and President Kennedy was determined to catch up. He said, "No nation which expects to be the leader of other nations can expect to stay behind in this race for space." Kennedy was the first President to ask Congress to approve more than 22 billion dollars for Project Apollo, which had the goal of landing an American man on the moon before the end of the decade.